Interview A couple of months ago, a book appeared in Finland which has become a minor sensation. In the book, a former senior Nokia executive gives his diagnosis of the company, and prescribes some radical and surprising solutions. Up until now, the book has not been covered at all in the English language. 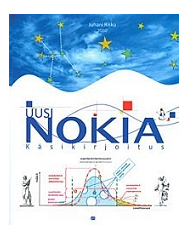 This is the first review of the proposals outlined in Uusi Nokia (New Nokia - the manuscript) and draws on three hours of interviews with its author, Juhani Risku. It’s very, very timely – and even if you don’t follow Nokia, mobile or telecomms it’s a fascinating exercise in business analysis and organisational studies. Enjoy. 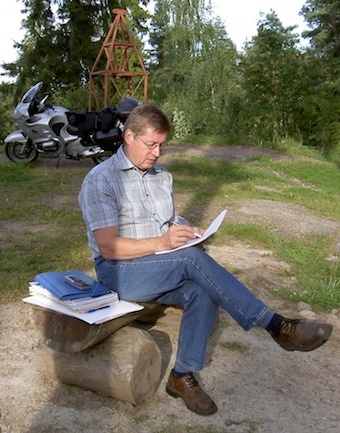 Juhani Risku is 53 and was independently successful before he joined Nokia – trained as an architect and industrial designer, his company had offices in France and Paris as well as Finland. He spent nine years at Nokia from 2001 and his various roles at the company included design, usability (he was head of Symbian user experience design) and Forum Nokia. He was also head of Nokia Showroom – the last place before the operators make their decisions on buying the company’s network systems. What’s evident is his affection for the company, which is itself an expression of Finnish culture and philosophy. In our talk, he often slipped into describing Nokia with “we”. In his scorecard, he gives the company high marks for logistics, manufacturing, sourcing and R&D. For Risku, Nokia remains “one of the best companies anywhere on Earth”, and its core talent and assets should see it in good stead. It needs to change, but doesn’t need to throw away its essentially Finnish approach to doing business, as others advise, says Risku. So what’s wrong and how should Nokia fix itself? The diagnosis is largely one that others have made. Essentially, Nokia has forgotten how to bring innovative products to market. This is despite a rich R&D base, which has pioneered many of the innovations competitors now feature. Instead, a risk-averse bureaucracy has grown up that stifles innovation – it makes progress slow or non-existent. For example, he cites Maps as an example of where a huge investment was bypassed by faster-moving competitors, and by using engineers, not designers, in product development. This diagnosis may be familiar, but the proposals quite radical. Risku proposes a dual-leadership role with an innovator – a Finn who understands the corporate culture – in a kind of “Steve Jobs” role. This would clear the many obstacles that stand between the lab and product concept and products. There would be a bloodbath of middle managers – starting with 300 to 500 staff at senior VP, VP or director level. This he calls a GRO program, or Get-Rid-Of. But surprisingly, Risku doesn’t recommend a culture transplant, of bringing in Americans. A sub-text to so much Nokia criticism today is that it doesn’t do business the American way. But doing so would be a disaster, he says – “aggressive and arrogant” wouldn’t work. Both Olli-Pekka and leading internal candidates are competent and could mentor their successors – but new thinking is required. Let’s start at the beginning. What’s gone wrong? “The last job I had at Nokia was head of innovation and ‘concepting’ – how to get ideas from concept into real products. I had about 5,000 innovations in front of me – a huge portfolio. And many, about 500, were very good – there were some very ‘killer’ ideas. “But there’s a huge approval process. We call it the ‘best approval process on Earth’, because everybody can say something about a concept. We saw competitors realising the same concepts, but realising them better. We became very disappointed. Even Samsung now has better innovations – they’re minor, but they’re very good ones. They’re innovations we’ve had on our tables for years. “Nokia Research Center is very competent indeed. There are 500 persons there, and they are creating stuff all the time. Many years ago they had things running in competitors phones not ours. “One example is Self-organising Maps (SOM). It was invented by a Finnish Professor, Teuvo Kohonen, but no product ever came out. It is now used in many other applications. “3D is very nice. Nokia Research had proposed two levels of 3D: what you might call stereoscopic photographs, images in 3D; and a 3D display which would set up icons on your screen in 3D without any special glasses. Nokia Research had done a good job, but managers weren’t interested. But the 3D UI is already in Samsung’s phones. “There were many other examples such as nanotechnology, visualisation, sensors, touch, gestures, all ready to be implemented – but while Tero Ojanperä was CTO (2005-2006) and competitors were creating their own strategies, none of these were developed or implemented. Incredibly, Nokia has yet to bring to market a phone with integrated NFC (Near Field Communications), which enables electronic payments and access - despite years of research and a promise six years ago that every Nokia would have NFC. Changing small details wasn’t easy either, and Risku cites an example. Elsewhere, Risku explains, the executives responsible for the Ovi strategy – and he supports the potential of services - didn’t know what was going on. Another feature of the modern Nokia bureaucracy, that wasn’t present 15 years ago, is the obsession with data gathering. I remarked that no other company spends us much on ethnography or focus groups, or market segmentation strategies. Turn to almost any page on the website, and you’re invited to fill in an questionnaire. “Yes, that’s it - and Apple doesn’t do this,” Risku agrees. He highlights one in particular as an example. “There is a philosophy called Contextual Design, every designer at Nokia has been trained in it by the guru Karen Holtzblatt. Everybody has attended her courses and got her very expensive book signed. The idea is that you ask the users what they are doing, then design something. If you think about Apple, they don’t ask anybody. The idea of users as designers is a catastrophe! Because the market decides what’s a hit and a flop? London’s design office gets short shrift – for producing “somewhat Robin Reliant level products,” in Risku’s words. The team is probably best known for producing the rather ambiguous icons – much criticized by bloggers and phone sites because isn’t clear what’s folder or application. But it does much more in the Strategy Boutique vein. “It’s nice to compare Nokia and Apple’s segmentation strategies,” notes Risku. “One big issue is take brand management away from the economists, and give it to real industrial and ‘drama’ designers. Compare this with wet macaronis. There are hundreds of companies that make wet macaronis, and you need to differentiate them by putting a Santa Claus on the tin. But when you have a Nikon Camera, they are brand things, and they are designed: the marketing is merely information. “The average price of the phone (ASP) - better to sell high-end phones. Nokia's ASP has been going lower and lower over the years. The reason is that when you have a portfolio you make three, four or five "copy phones" - different categories. They are copies of each other, there are no real differences, they run the same. Another example of bureaucracy is inertia. Nokia needs to accelerate its processes in several ways, urges Risku. He cites two interesting examples. “When the people and designers and product specialists get their own strategy it's first of all, a bit old. There’s a four month delay, so the strategy reflects the business situation four months ago. Then it takes some months to start new projects. During that time, you can't ramp down the old projects. In the case of Maps following the €8bn Navteq acquisition, nothing happened for six months. Then Google made Maps free. More recently, it has made turn-by-turn navigation free. In another case, the bureaucracy implemented processes carelessly. “One day, one of those people responsible for directing User Experience at Symbian came in and said - you can’t work anymore with the old process any more. Everyone asked what that new process is - and she didn't say what it was. So 200 people were doing nothing for six months. "A strategy is devised, then it's delayed a bit, then delayed a bit more... then it's already old." Risku also criticises Nokia's branding for becoming confused - like Yahoo!, and lacking the clarity of its heyday. "Since 2006, Nokia brand development has been a playground for marketing people and some fashion designers based in Soho, London. At the same time external marketing offices from London have been creating campaigns and Web visuals for Nokia basically without no relevant definition or guidance from Nokia's side. Nokia brand directors, under SVPs and VPs, are from Coca-Cola, McDonalds, Disney and Nike, from companies without any connection to technology, gadgets, functional products or 'rocket science' visions - without competence, visions and customer understanding." In the next part, we’ll look at the executives, the culture… and the cure. Risku’s manifesto is based around a new governance model. But will this need new governors, too? Risku has some acidic views on Nokia’s current management – we’ll go on to that in a moment - but also some surprisingly warm tributes, too. His bigger theme is that throwing a sacrificial lamb to the wolves is not going to help. Structural and organisational changes need to be made, to release the talent from the bureaucracy. This involves bringing in the co-pilot. Having a plurality of CEOs is not unusual. RIM has had two co-CEOs for over a decade; Google, if you believe the official line, has three: the two founders plus Schmidt. “The CEO is not the main problem at Nokia, Nokia's main effort is to find a person with credibility and trust to lead 1500 designers and innovators in product creation and design” says Risku, “This new Chief Innovation/Creative/Design Officer should be a Nokian, or ex-Nokian or present Nokian with the vision, strategy and a plan to run Nokia's creative machine. This person would be the 'Steve Jobs' of Nokia with the CEO's support, and the widest mandate to create and run the product creation. Upsetting the Finnish way of doing thing would be catastrophic, he predicts. “Nokia is so Finnish. We have so many Americans, they're very good but arrogance and aggression is not the Finnish way of working. So what about the current executive leadership? The squeamish may now avert their eyes. For Risku, Compaq import Mary McDowell, who has overseen the Enterprise division for almost a decade, would be one of the first to go. I recall the Hildon strategy from 2001 to 2003 - never publicly disclosed - which would have combined push email with much more sophisticated devices than anything RIM or Microsoft could offer at the time. Blackberry cleaned up the corporate messaging space with much more primitive solutions – that worked. Risku remembers the next push into enterprise. McDowell was also chief development strategist. It was one of the most important positions at Nokia. But nothing happened in development in the company. A similar criticism follows Tero Ojanperä, currently the orbiting visionary. “He's smart, a Doctor in radio signal processing, but he doesn't have street cred on the topics he's leading, he has nothing to do with music or visual things. The strongest criticism is reserved for the son of the former Finnish President, Marko Ahtisaari, chief design director. It’s an example of nepotism that Risku calls “business socialism”. “The message it sends for owners, journalists and investors is straight forward: any hobbyist can lead a billion dollar business design team”. "OPK", or Olli-Pekka Kallasvuo, is rated as a good manager and knows thousands of people personally, an invaluable asset, thinks Risku. It makes little sense to sacrifice the CEO and leave the structural problems unchanged - particularly the 500 VPs with largely radio engineering experience who (by the Peter Principle) have responsibility for areas beyond their expertise. Should the board wish to offer Kallasvuo's head to appease investors, however, Risku suggests Ansi Vanjokki as an interim CEO, and to mentor a new generation. "Vanjokki is a very good guy, very popular and his street credibility is high. He is reliable, competent in many things - but that knowledge is very old." Board member Esko Aho should get a higher profile and a new role in investor relations. "Nobody cares about people who own Nokia shares today." Overall, Risku is remarkably upbeat about the company's long term prospects, despite the malaise. Nokia has great technology assets, he concludes, and thanks to its designers, retains the ability to reduce complexity. But we don't see either - we don't see new technology, or new technology made easy.